Franklin 9" Indestruct-A-Ball is engineered to flex on impact to prevent cracking and reduce travel distance. The material automatically retains shape after hit. For use with all bat types. Lab tested 5X more durable than traditional plastic training balls. Color: yellow. Pack: 8 balls. With convenient set up and easy portability, the SKLZ PitchBack is great for all diamond players and teams. Simply set up your training aid at the park, field, or even your backyard for hours of fun. The sturdy rebound net training improves throwing and fielding as the adjustable pitchback angles allow for pop flies, line drives, and grounders. INSTANT FEEDBACK. Get a better analysis of your player's engagement with the ball as you get instant feedback when the bat and ball connect. Give hitters the tools to fine-tune their swing and control their power. PRACTICALLY INDESTRUCTIBLE. Designed with proprietary pop-back material, these practice balls won't crack or shatter. These are made to withstand thousands of hits, lasting season after season. IMPROVE CONFIDENCE AT BAT. Give your player the tools they need before stepping up to the plate. The SKLZ Mini Impact Balls are the perfect tool for warms ups when you don't have access to batting cages or a batting screen for protection. INVEST IN YOUR SKILLS. It doesn't matter if you're coaching a team, or working with your all-star child, the proper equipment will make life easier. SKLZ is committed preparing your athlete to be better at their sport. 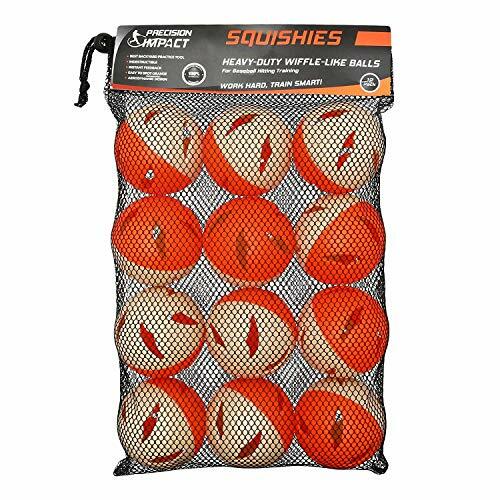 Plastic Baseballs; perfect for practicing pitching, batting, throwing, and catching practice. Champion Sports Baseball is made of plastic for enhanced durability and is perfect for a multitude of uses. 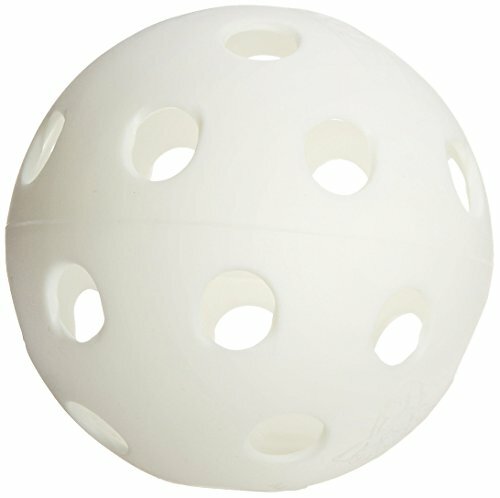 It can be used to play a safe game of baseball, paddle ball, catch or other ball games. Baseball is designed for safety and offers all around fun. Ideal for classes, playgrounds and recreational use. 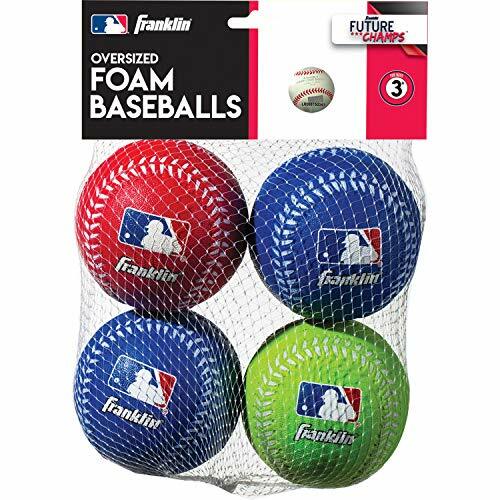 The Franklin Sports future champs oversized foam baseballs were designed for little athletes to make learning fun! these soft oversized baseballs are perfect for kids learning how to play catch for the first time. Make your little ones feel like they're true Baseball Champions by hooking them up with this officially licensed Major League Baseball product! perfect for ages 3+, toss the ball around with your future Major Leaguers and start to teach them the fundamentals of Baseball. 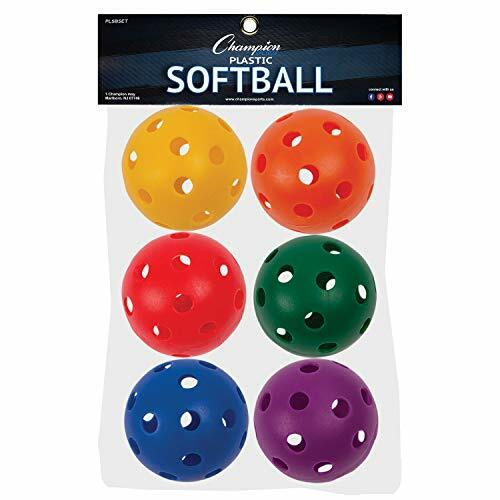 Now offered an bright colors, the baseballs are vibrant enough so kids can easily see the balls coming their way, Promoting hand-eye coordination at a young age! perfect for indoor and outdoor play, the set includes 4 oversized foam baseballs, 2 Blue, 1 Red, and 1 green. 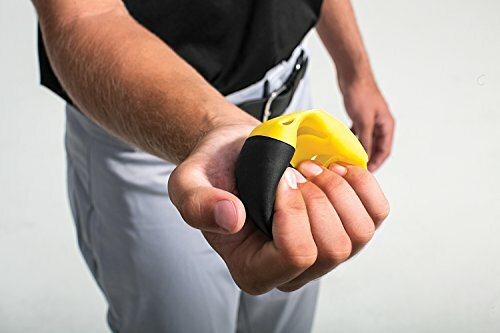 A great lightweight tool for practice hitting in small or limited spaces. ATHLETIC BASEBALL EQUIPMENT Looking for the best practice baseballs? Champion Sports' White Plastic Hollow Baseballs are the ideal balls for all your baseball needs. 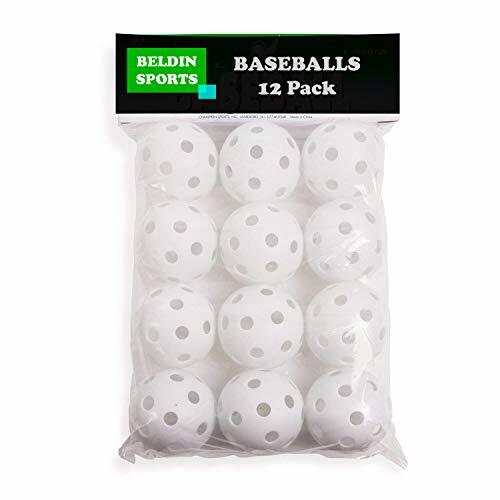 With 12 hollow baseballs in each pack, kids will have a blast playing catch or working on their pitching with these versatile Champion Sports Plastic Baseballs. Great for everything from gym class to recreational activities! 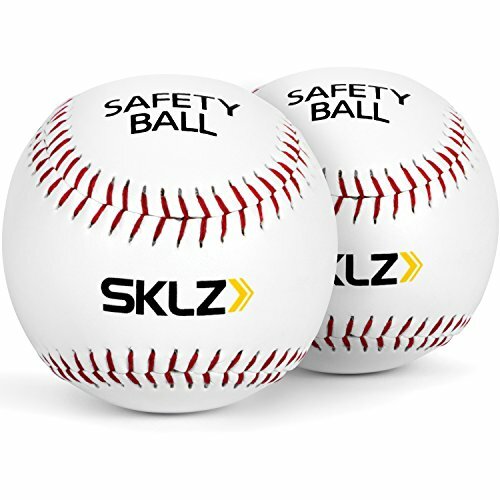 REGULATION SIZE BALLS Each plastic hollow ball has a 9.00 inch circumference in accordance to the Official Baseball Rules, making them ideal for any practice you may want or need. These versatile plastic baseballs are great for a wide range of drills and recreational activities. FUN FOR ALL AGES Little kids and adults alike will love these highly durable baseballs thanks to their hollow design that allows nonstop fun. Kids and adults can use them while playing baseball or ball. Learn how to throw a curveball or fastball, how to hit a grandslam, and catch like a pro. They even make a great toy for playing fetch with a beloved pet! 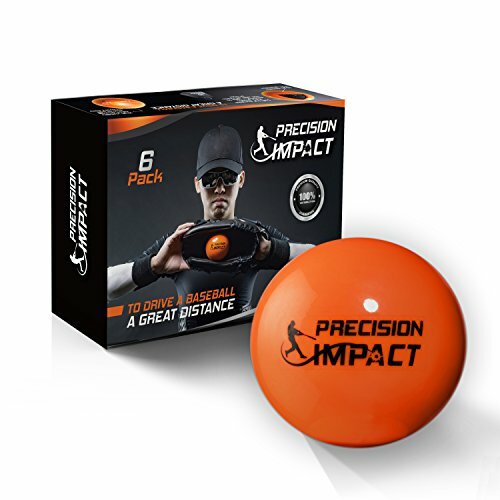 LIGHTWEIGHT AND DURABLE The innovative hollow design makes each ball lightweight and durable. Place all 12 of them in a backpack or duffle bag and take them with you wherever you go. 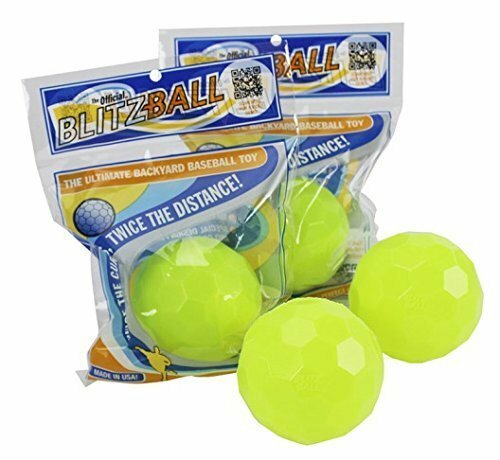 The plastic design makes each ball extremely durable so they can withstand being tossed, thrown, hit, and dropped without breaking. Any athlete who uses Champion Sports' White Plastic Hollow Baseballs will get the most out of their practice. 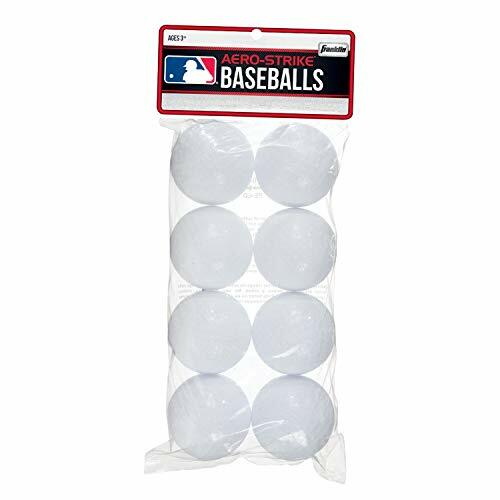 A DOZEN BASEBALLS IN A PACK Each pack contains 12 hollow white plastic balls for endless fun. They are easy to see in a large field thanks to their bright white color so you never have to worry about losing them. Pour them in a bucket and keep them next to home base to practice your batting. Use them to help someone improve their catching skills. Or if you are feeling a bit more adventurous, you can use them to juggle or for ice dying resistance! Constructed with proprietary pop-back material similar to the material used to make car bumpers, SKLZ Impact Baseballs keep their shape and won t crack like standard practice balls even after thousands of swings. Built to provide instant feedback on contact, they help hitters tune their swings to find that all-important sweet spot. ATHLETIC BASEBALL EQUIPMENT Looking for the best practice baseballs? Champion Sports White Plastic Hollow Baseballs are the ideal balls for all your baseball needs. 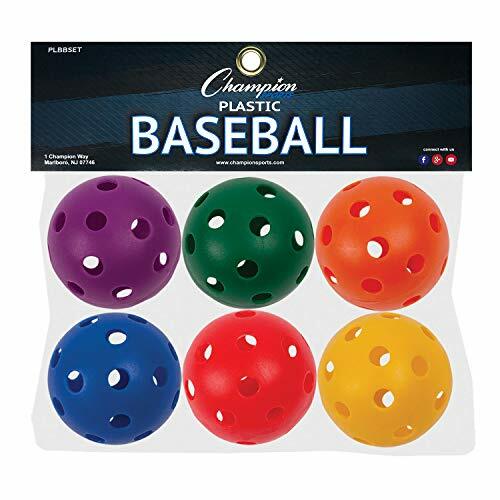 With 12 hollow baseballs in each pack, kids will have a blast playing catch or working on their pitching with these versatile Champion Sports Plastic Baseballs. Great for everything from gym class to recreational activities! 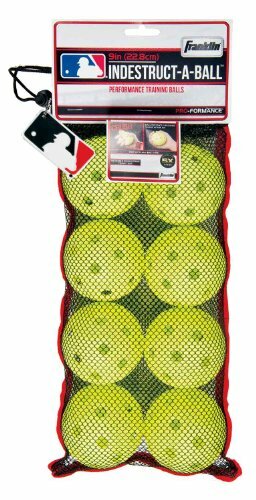 REGULATION SIZE BALLS Each plastic hollow ball has a 9.00 inch circumference in accordance to the Official Baseball Rules, making them ideal for any practice you may want or need. 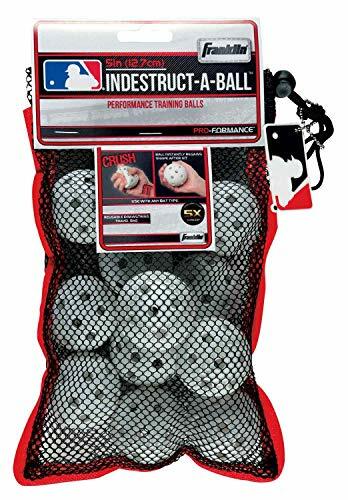 These versatile plastic baseballs are great for a wide range of drills and recreational activities. FUN FOR ALL AGES Little kids and adults alike will love these highly durable baseballs thanks to their hollow design that allows nonstop fun. 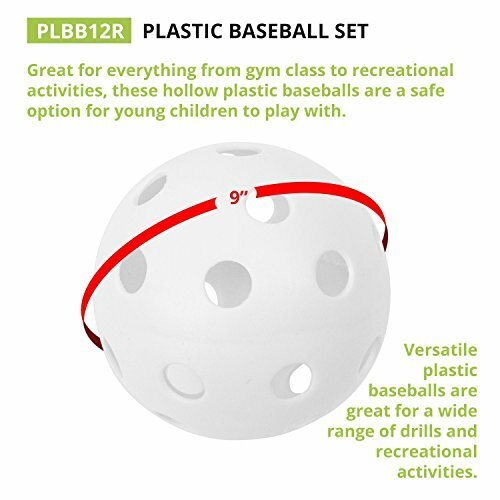 Kids and adults can use them while playing baseball or ball. Learn how to throw a curveball or fastball, how to hit a grandslam, and catch like a pro. They even make a great toy for playing fetch with a beloved pet! LIGHTWEIGHT AND DURABLE The innovative hollow design makes each ball lightweight and durable. Place all 12 of them in a backpack or duffle bag and take them with you wherever you go. The plastic design makes each ball extremely durable so they can withstand being tossed, thrown, hit, and dropped without breaking. Any athlete who uses Champion Sports White Plastic Hollow Baseballs will get the most out of their practice. 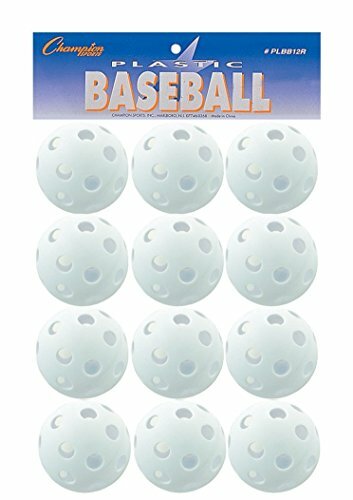 A DOZEN BASEBALLS IN A PACK Each pack contains 12 hollow white plastic balls for endless fun. They are easy to see in a large field thanks to their bright white color so you never have to worry about losing them. Pour them in a bucket and keep them next to home base to practice your batting. Use them to help someone improve their catching skills. Or if you are feeling a bit more adventurous, you can use them to juggle or for ice dying resistance! Franklin 5" Indestruct-A-Ball is engineered to flex on impact to prevent cracking and reduce travel distance. The material automatically retains shape after hit. For use with all bat types. Lab tested 5X more durable than traditional plastic training balls. Color: white. Pack: 12 balls.